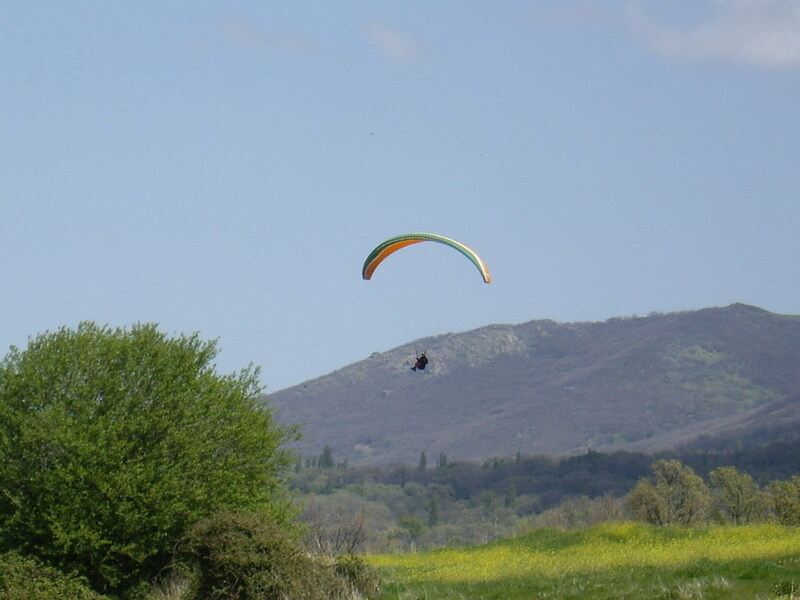 With a forecast of high westerlies we still managed to fly before it came through, with good thermals and wind still below 15km when we landed. During the afternoon, Roel and myself checked out the progress of my Bee hives, most importantly my Warré style hives in Tortoles. The Warré method is a move back to more simple and natural beekeeping, more careful of the bees needs rather that the beekeepers. With smaller hives, the promotion of natural comb and minimal intervention. 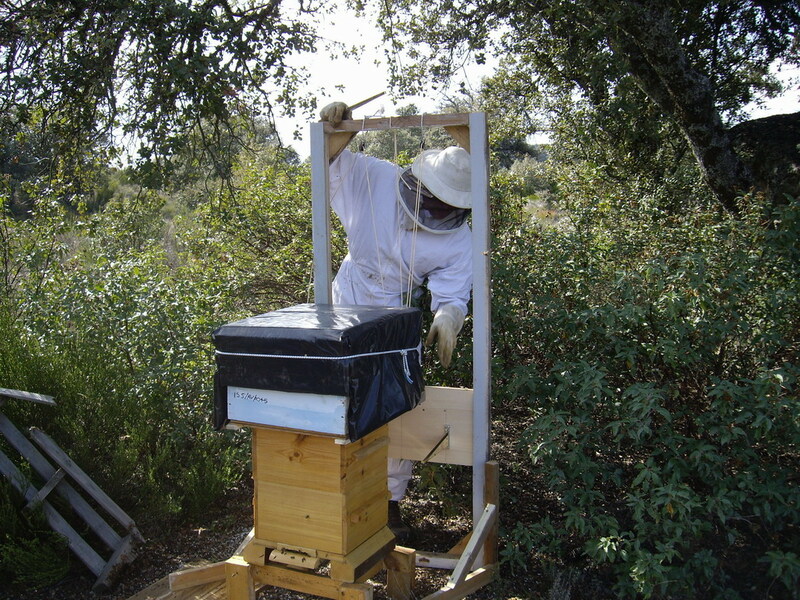 The hives are almost never opened from the top, thereby keeping the natural nest heat and scents. Adding of extra space/boxes is done form the bottom with a special lifting device. We added feed to the bottom of one hive and added another box to the bottom of another which had almost filled out its first Warre box. 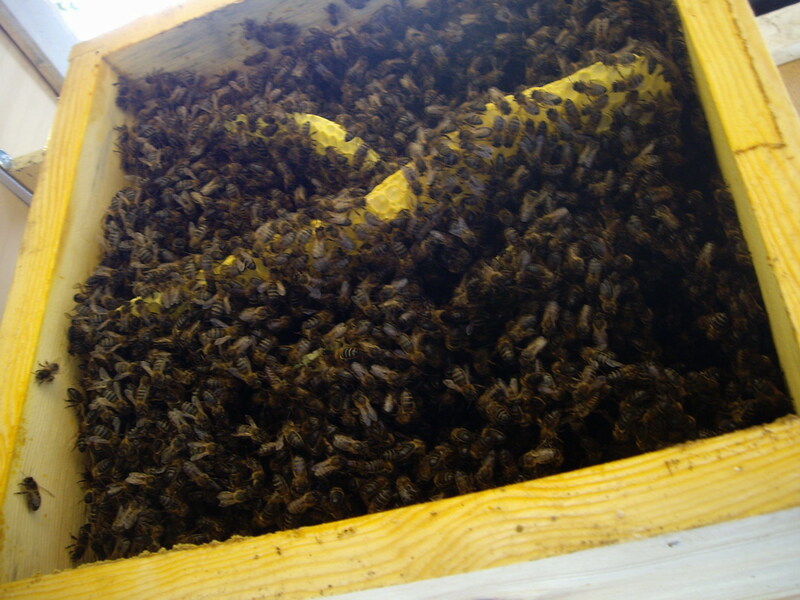 We also checked some normal Langstroth hive frams to look for the presence of queen cells and to forcast swarming. The french lavender is just starting to bloom on the hight hills around my Apiary in Tortoles. Posted: Tuesday, April 29th, 2008 at 21:14 by Steve in Beekeeping, Flying Journal. my father was proud to see his son following him in his beekeeping enthusiasm! Thanks for a great time, of course mainly during flying, and hopefully till next year!